Localised ecologically and bioclimatically, this upland species is very vulnerable to climate change affecting the groundwater supply to springs and brooks. C. somedanum is endemic to the central Cordillera Cant?brica (Le?n and Asturias), occurring in 5 locations with 16 subpopulations, an occupancy area of 18 km2 and some 6027 individuals, There is evidence of loss of locations and subpopulations. C. somedanum grows in areas influenced by the presence of streams or springs, on travertines on slopes, within vegetation alliances such as Adiantion, Pinguiculion and Caricion davallianae. 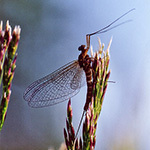 Found over a wide bioclimatic range including the Atlantic, Continental and Mediterranean regions, L. natans is probably quite tolerant of some climatic shift, but where altered climate leads to changes in the water regime of rivers (flow, depth, volume, flooding and seasonality), some damage to its populations is likely. 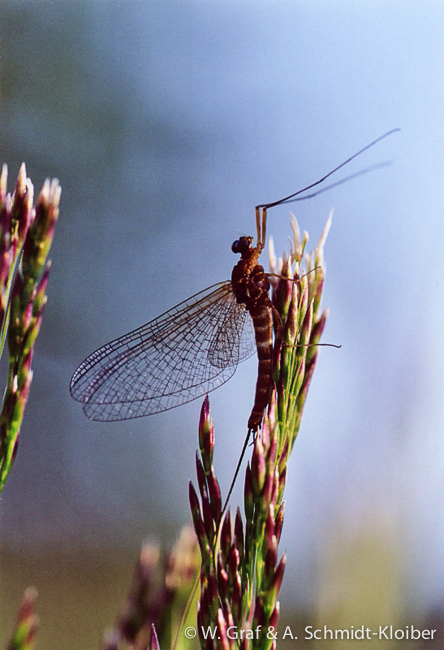 This European endemic (west and central) is widespread but has locally suffered declines and faces a range of threats such as the modification of its aquatic habitats or water pollution. However, as the populations do not appear likely to become extinct imminently, Luronium is classed by IUCN as of Least Concern. Data quality and coverage for distribution/abundance vary over its range. The confirmed range of Luronium includes: Belgium, Czech Republic, Denmark, France, Germany, Ireland, Netherlands, Norway, Poland, Spain (mainland), Sweden and the UK. Luronium is very rare in Scandinavia, Ireland, Spain and the Czech Republic as well as much reduced in Poland. The plant is much commoner in Germany, France, the Netherlands and the UK (where it ascends to 450 m altitude). Population levels often fluctuate and Luronium can be found in and along a wide range of water bodies e.g. 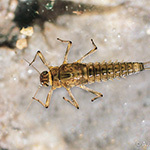 in Sweden in small bodies that are shallow clear and non-eutrophic (often on sand) whilst in Spain, if occurs at the edges of pools and lakes as well as in stream/river backwaters. In terms of the Habitats Directive, L. natans is noted for 19 designated habitats (those underlined being riverine or riparian): 3110 Oligotrophic waters containing very few minerals of sandy plains, 3120 Oligotrophic waters containing very few minerals generally on sandy soils of the West Mediterranean with Isoetes spp., 3130 Oligotrophic to mesotrophic standing waters with vegetation of the Littorelletea uniflorae and/or of the Isoeto-Nanojuncetea, 3140 Hard oligo-mesotrophic waters with benthic vegetation of Chara spp., 3150 Natural eutrophic lakes with Magnopotamion or Hydrocharition type vegetation, 3160 Natural dystrophic lakes and ponds, 3170 Mediterranean temporary ponds, 3220 Alpine rivers and the herbaceous vegetation along their banks, 3260 Water courses of plain to montane levels with the Ranunculion fluitantis and Callitricho-Batrachion vegetation, 3270 Rivers with muddy banks with Chenopodion rubri p.p. and Bidention p.p. vegetation, 3280 Constantly flowing Mediterranean rivers with Paspalo-Agrostidion species and hanging curtains of Salix and Populus alba, 4010 Northern Atlantic wet heaths with Erica tetralix, 4020 Temperate Atlantic wet heaths with Erica ciliaris and E. tetralix, 4090 Endemic oro-Mediterranean heaths with gorse, 7120 Degraded raised bogs still capable of natural regeneration, 7130 Blanket bogs, 7140 Transition mires and quaking bogs, 91E0 Alluvial forests with Alnus glutinosa and Fraxinus excelsior, and 91F0 Riparian mixed forests of Quercus robur, Ulmus laevis and U. minor, Fraxinus excelsior or F. angustifolia, along the great rivers. The main threats to Luronium are habitat destruction/degradation through water and soil pollution (pesticides, fertilisers) and eutrophication. Modification of hydrological regimes is a major threat e.g. canalisation (or other modification of watercourses), water-level management, drainage and management of bank vegetation. Filling of water bodies or sediment removal can affect populations, as can altered agricultural practice, abandonment of pastoral systems and unfavourable forest management. Aquaculture and recreational activities (fishing, nautical sports, walking, horse-riding and non-motorised vehicles) are also reported as having negative impacts. Very localised ecologically and bioclimatically, this species is very vulnerable to climate change affecting the groundwater supply to springs and brooks. 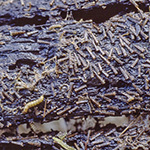 C. polonica is native to Poland and Ukraine, being found in one native location in each country. 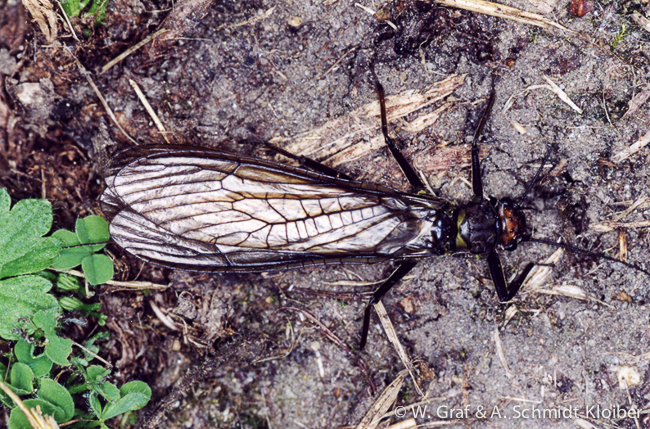 The Polish locus classicus at the head of the Biala Przemsza River (Krakow-Czestochowa upland) is now extinct, but it has been successfully introduced at the head of the Centuria river (2 more localities have weak secondary populations). 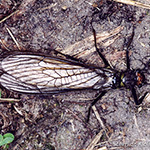 In the Ukraine, it is also found at a single locality (4 km2) in the Lviv region (head of the Western Bug river). The total area of occupancy taking into account all sites is <20 km2. From a Polish population of 0.5 million adult individuals (area of 4 km2) in the early 20th century, drainage and melioration caused its near extinction and the conservation introduction has produced a population of ca 30000 individuals (0.002 km2) though populations are again declining. The single Ukrainian locality holds andle;400 mature individuals (stable population). The plant inhabits springs and small shady brooks on sandy substrates or emergent patches of wet sand in sunlit places, with very clean water of neutral pH. Phytosociologically, the Polish stands are defined as the Cochlearictum polonicae association of the Cardamino-Montion alliance whilst in Ukraine, it grows in Magnocaricion alliances. In terms of the Habitats Directive, the main habitat is 7220 Petrifying springs with tufa formation (Cratoneurion). In Poland, mines and drainage have been described as main threat, whilst altered hydrological regime is cited in Ukraine. 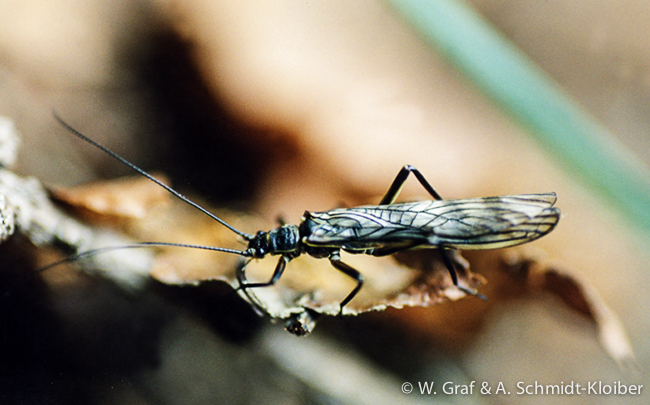 A high alpine species that is vulnerable to a climatic squeeze under warming conditions. Not strictly "riparian", C. tatrae is nonetheless associated with alpine streams. C. tatrae is endemic to the Tatra Mountains (Poland/Slovakia) within an overall area of 700 km2. In Poland, it is restricted to a very small area between 1,595-2,390 m asl (12 sites near Morskie Oko Lake) in the alpine and sub-nival zones, with a total population estimated at 600 individuals and is believed stable though the sites are severely fragmented. In Slovakia, it is known from andge;30 localities up to 2,605 m asl and the populations are stable. 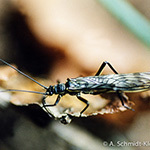 C. tatrae is found in moist crevices and scree of mylonite and granite rocks, around mountain springs, by alpine streams and on tarn banks. This plant grows in the Habitats Directive type 8110 Siliceous scree of the montane to snow levels (Androsacetalia alpinae and Galeopsietalia ladani). Erosion, grazing by animals and damaging activities by tourists are major threats, with avalanches additionally important. 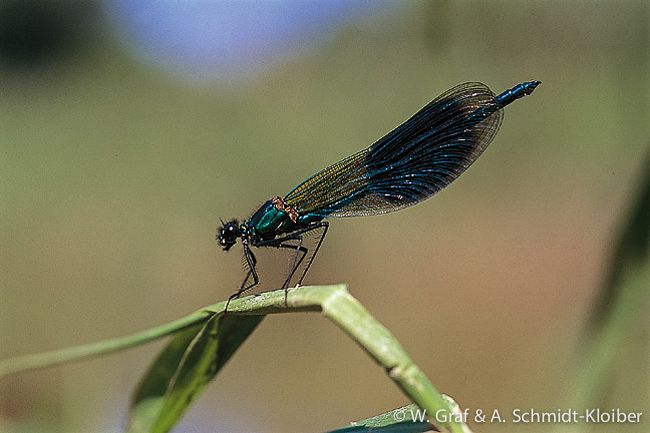 Domisch S., Jaehnig S.C. and Haase P. (2011) Climate-change winners and losers: stream macroinvertebrates of a submontane region in Central Europe. Freshwater Biology 56, 2009-2020. Evidence that northward colonization is already occurring comes from the Russian portion of Region 1. Over the last 10 to 15 years, northern pike (Esox lucius), ide (Leuciscus idus), and roach (Rutilus rutilus lacustris) have become much more numerous in the Pechora River Delta and the estuary Sredinnaya Guba (68? N) of the Barents Sea.(9). 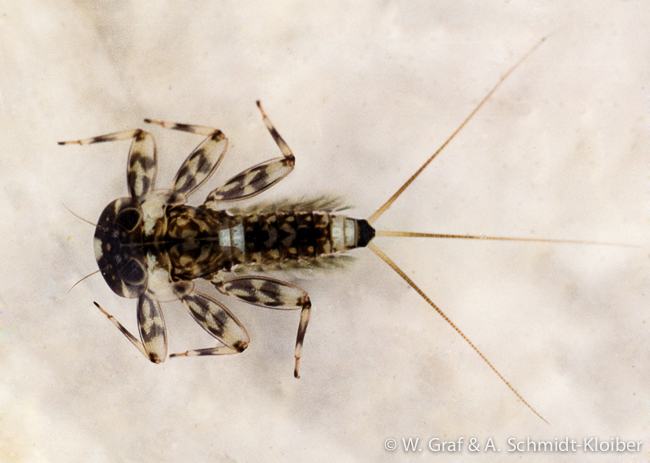 Chaetopteryx villosa was found to be negatively correlated with higher temperatures. 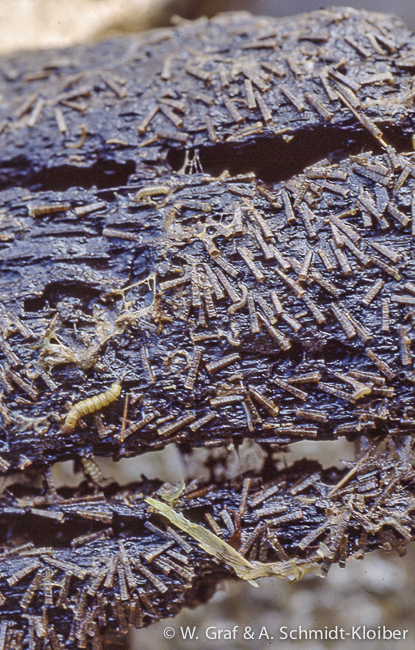 It avoids warm temperatures by undergoing larval dormancy during the summer. 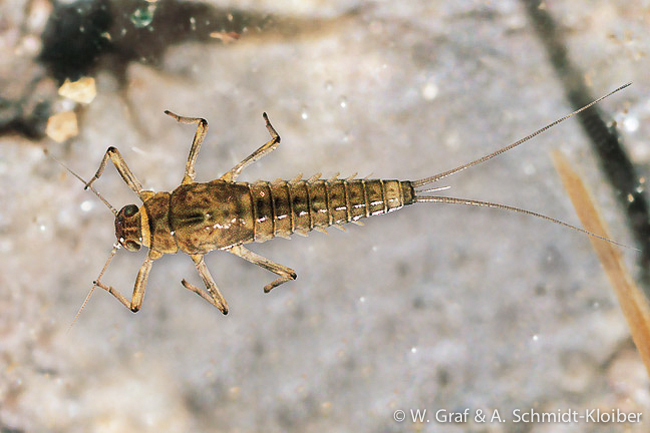 Haidekker A. and Hering D. (2007) Relationship between benthic insects (Ephemeroptera, Plecoptera, Coleoptera, Trichoptera) and temperature in small and medium-sized streams in Germany: A multivariate study. Aquatic Ecology 42, 463-481. 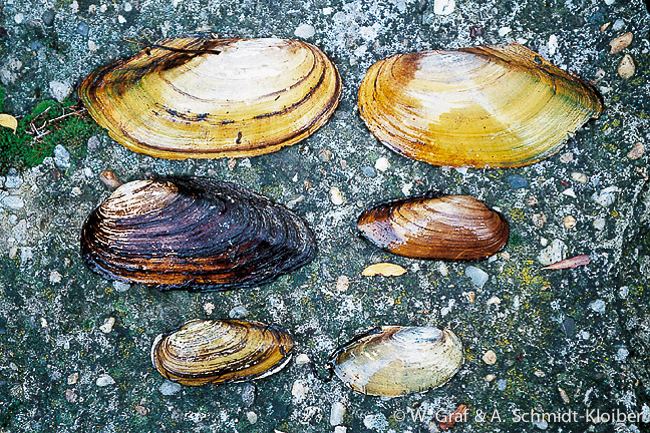 The sphaeriid Pisidium amnicum is a common freshwater clam in Europe, occurring mainly in the northern and central European countries. High temperatures, low summer flow and competition with invasive species (such as Corbicula fluminea) could result in a significant reduction of its population, particularly in warmer regions where events of water scarcity and high temperatures are expected to become more frequent. 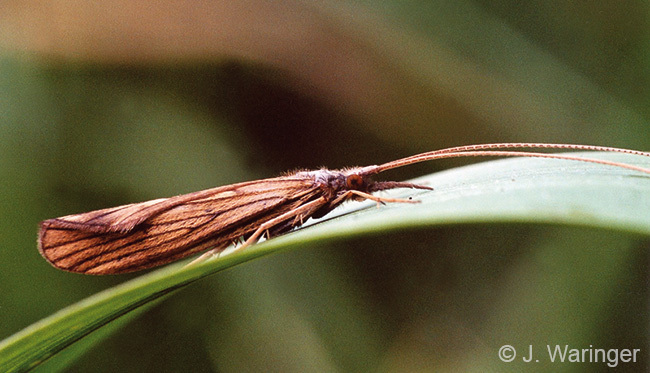 Rhithrogena semicolorata was negatively correlated with temperature. But in contrast to this observation, other studies revealed this specie developing faster at higher temperatures. 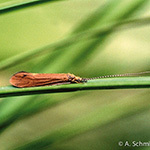 Baetis alpinus is described to have an optimal development between 8 and 11anddeg;C, it is known to occur in temperature ranges between 5 and 13anddeg;C. B. alpinus is a cold stenothermic species, having a bivoltine life-cycle, but is univoltine at higher altitudes. Ecdyonurus venosus was negatively correlated with temperature. But in contrast to this observation, other studies revealed this specie developing faster at higher temperatures. 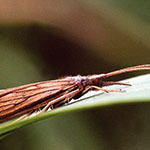 Ecdyonurus insignis positively correlated with temperature. Their embryonic development is characterized by a lower thermal demand at higher temperatures, they tend to emerge in June to August, and therfore considered to be warm-adapted. 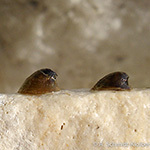 The species occurs in limestone precipitating springs and spring brooks. Higher precipitation in winter and droughts in summer/autumn will alter the very specific habiat and will further isolate individual populations. Thienemann, A. 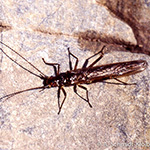 (1954): Chironomus. Leben, Verbreitung und wirtschaftliche Bedeutung der Chironomiden. Binnengewasser 20: 834. 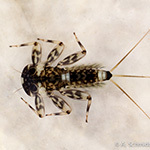 Rheocricotopus fuscipes is a cold-adapted species which predominate in headwater streams. Climate change is expected to increase air and water temperatures, reducing suitable habitats for this species. Temperatures increasing beyond the species? 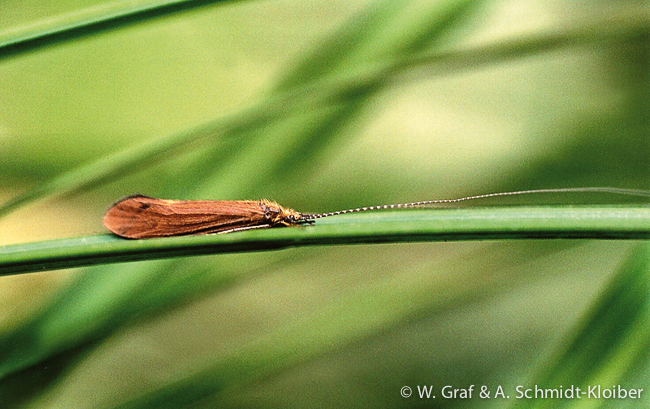 tolerances may eventually lead to extinction of this chironomid species under the A2a scenario. 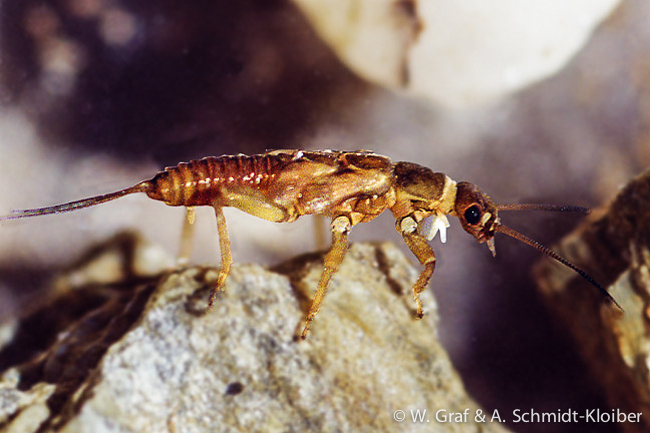 Dinocras cephalotes was only present in small streams and up to 14anddeg;C and It is restricted to theupper reaches. Laboratory studies have revealed that the egg development is highly temperature dependent, with an optimum hatching success at high temperatures between 16 and 20anddeg;C. It has a plastic semivoltine life-cycle (generation time is more than one year) and emerges in summer. It has a wide temperature range and is a warm-stenothermic of Mediterranean origin . D. cephalotes occurs in varying local, geographical, and regional populations all showing different genetically determined temperature cues for egg development. 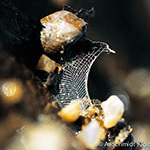 Because of plasticity in its life cycle, D. cephalotes can reproduce successfully outside its thermal optimum. For instance, it can be found from southern Spain to northern Norway, and is the most widespread Perlidae in Europe. Consequently, the distribution in this study reflects only the lower part of its distributional range, and so its limitation to stream-size must be interpreted by factors other than temperature. 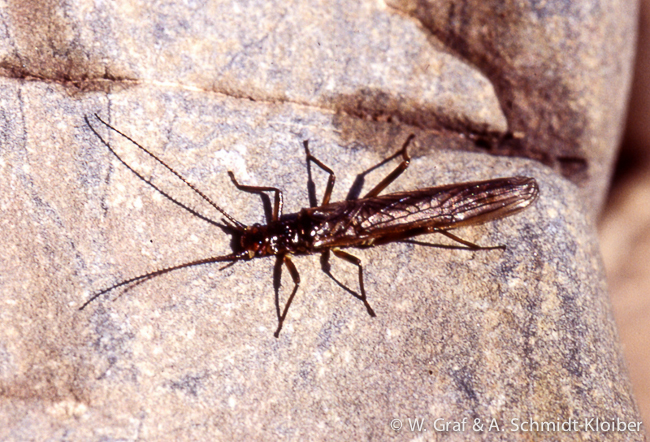 Protonemura auberti and Brachyptera seticornis were present only in small streams below 14anddeg;C. Their greatest frequency was observed at a temperature of 12 to 13anddeg;C. No laboratory studies on the thermal demand of the embryonic development of B. seticornis have been performed and there is no information on a summer diapause. 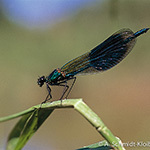 Both species occur together in the same habitat and have a similar life-cycle, but B. seticornis emerges earlier in spring than P. auberti (Illies 1955). However, these species? adaptation to cooler temperatures is evident in their restricted presence to the crenal and epirhithral river habitats in mountainous and sub-mountainous regions. 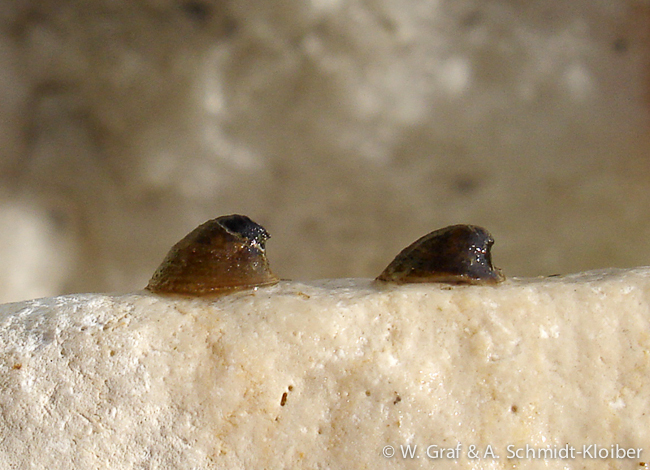 Perla marginata is only present in small streams. 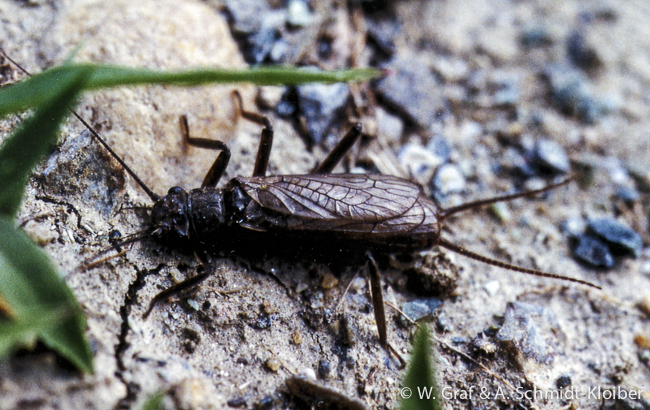 This species is known to occur mainly in crenal and epirhithral regions, but is a eurythermic, widespread species with a semivoltine life-cycle (2 to 3 years). The life-history traits of P. marginata, imply that its distribution reflects the preference for small streams of crenal and epirhithral zones with factors other than temperature gradient being important. Neverthelss, they might face a owhere to go" situation as a result of being trapped at the summit ""
Perla burmeisteriana was present only in streams with summer means above 14deg;C, which seems to be its lower thermal limit. 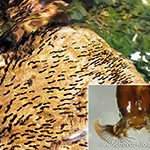 This observation is supported by laboratory experiments from Marten (1991), which indicate a dependency on high temperatures, with the species requiring at least 12?C for successful hatching. 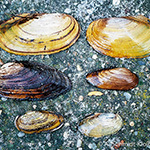 Thick shelled river mussel | Unio crassus ssp. This species is very sensitive to eutrophication, which may be enhanced by Climate Change, mainly because the juvenile stages are sensitive to ammonium and nitrogen. Araujo, R. (2006): Unio crassus Retzius, 1788. In: Verdo and Galante (eds. ): Libro Rojo de los Invertebrados de Espana. Direccion General para la Biodiversidad, Ministerio de Medio Ambiente, Madrid. 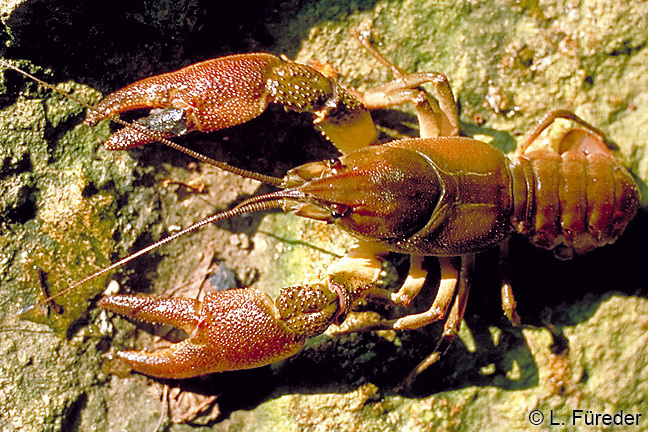 Widely distributed european crayfish that inhabits in small or medium rivers, usually with low temperatures. 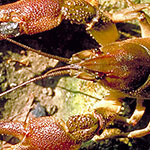 Vulnerable to the fungi Aphanomyces astaci, which is carried by the crayfishes Pacifastacus leniusculus and Procambarus clarkii. 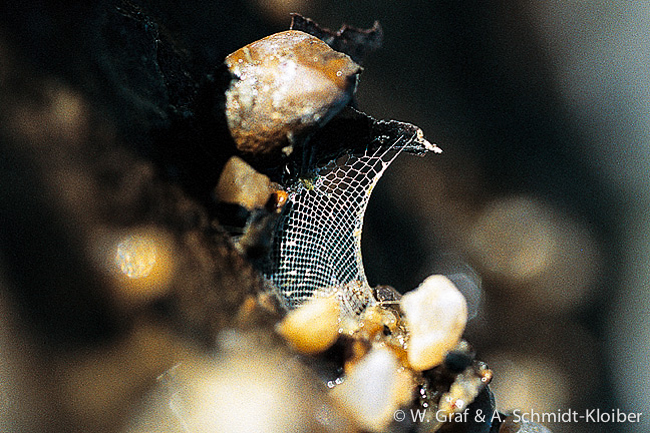 These latter species do not reach the upper reaches (where the autochtonous crab lives) due to a temperature limitation, but this barrier may be broken by Climate Change. Alteration of food web with possible consequences on most species. 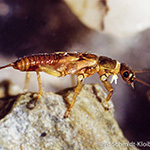 Gil-Sanchez, J.M and J. Alba-Tercedor (2006): Austropotamobius pallipes (Lereboullet, 1858). In: Verdo and Galante (eds.). Libro Rojo de los Invertebrados de Espana. Direccion General para la Biodiversidad, Ministerio de Medio Ambiente, Madrid. The distribution of bleak is expected to expand almost everywhere in Europe. In Southern European rivers, stream-dwelling salmonids are restricted to headwaters, where local environmental conditions mitigate the adverse effects of regional warm climate. Current climate change is projected to worsen freshwater conditions (higher temperatures and longer droughts) in the Mediterranean region, an area already vulnerable to climate variations and decreased water availability. Wild brown trout occurs within a limited range of environmental temperatures, with lower tolerance to high temperatures than other salmonid species. Reduction in population size and loss of interpopulation connectivity as a consequence of potential climate change are expected to increase the risk of local extinction, due to increasing vulnerability to demographic and environmental stochastic events. Therefore, the observed and projected reduction in suitable thermal habitat in Mediterranean-type streams may have relevant consequences for the ecological and evolutionary species success. Climate change is expected to reduce summer precipitation, and increase evapo-transpiration, that in overall will lead to loss of water and reduced flows. 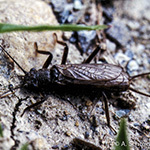 A. iberus is threatened due to their limited and isolated distribution. During the last three decades there has been a progressive loss and alteration of its habitat especially as a result of an intensive agriculture and tourism development. 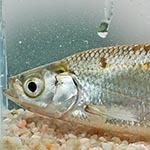 Current threats to its habitats and its populations include the destruction of habitats, water pollution and the introduction of exotic species, mainly Gambusia holbrooki which appear to have displaced A. iberus from its habitat as they are competitors for habitat and food. Inland populations are restricted to small creeks and are threatened by the depletion of water levels in local aquifers; its survival depends on strict control over the use of groundwater resources. The Eurasian otter has one of the widest distributions of all Palaearctic mammals, its range covering parts of Europe, Asia and Africa. Occurring in most European countries from the Boreal to the Mediterranean, the otter lives in a wide variety of aquatic habitats, including highland and lowland lakes, rivers, streams, marshes, swamp forests and coastal areas independent of their size, origin or latitude. 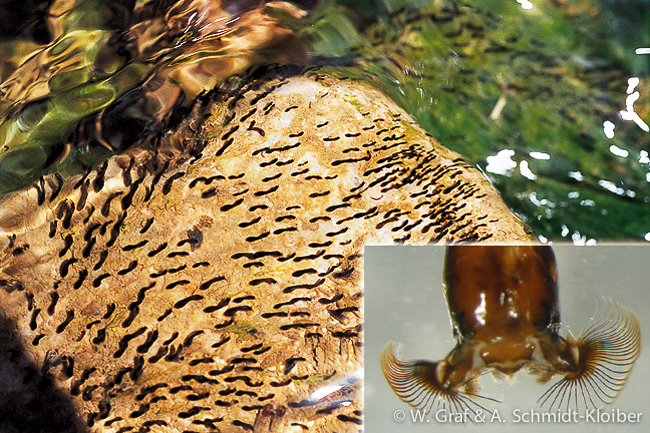 In Europe they are found in the brackish waters from the sea level up to 1,000 m in the Alps. In most parts of its range, its occurrence is correlated with bank side vegetation showing importance of vegetation to otters. Otters in different regions may depend upon differing features of the habitat, but to breed, they need holes in the river bank, cavities among tree roots, piles of rock, wood or debris. Most otter activity is concentrated within a narrow strip on either side of the interface between water and land. Otter distribution in coastal areas especially the location of holts, is strongly correlated with the presence of freshwater. Fish is the major prey of Eurasian otters sometimes exceeding more than 80% of their diet, although in some parts of their range, crabs and aquatic invertebrates are the dominant food item. The aquatic habitats of otters are extremely vulnerable to man-made changes. Canalisation of rivers, removal of bank side vegetation, dam construction, draining of wetlands, aquaculture activities and associated man-made impacts on aquatic systems are all unfavourable to otter populations. Pollution is a major threat to otters in western and central Europe, especially from organochlorines, PCBs and mercury, with coastal populations particularly vulnerable to oil spills. Acidification of rivers and lakes results in the decline of fish biomass and reduces the food resources of the otters. The same effects are known to result from organic pollution by nitrate fertilisers, untreated sewage, or farm slurry. Numerous other threats apply in areas of high human population.